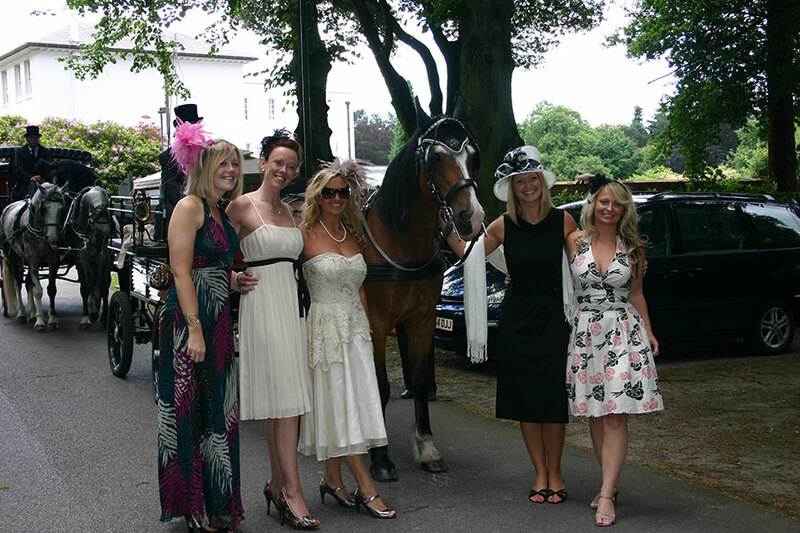 Since 2001 we have operated our exclusive horse-drawn carriage service to the racecourse, enabling racegoers to experience travelling & arriving in timeless & Royal style. Trips are limited and pre-booking is essential as many of our clients come every year. For Royal Ascot 2018 we have luxury Landau Carriages, open top Wagonettes and a covered glass Omnibus available Tues 19 – Friday 22 June. 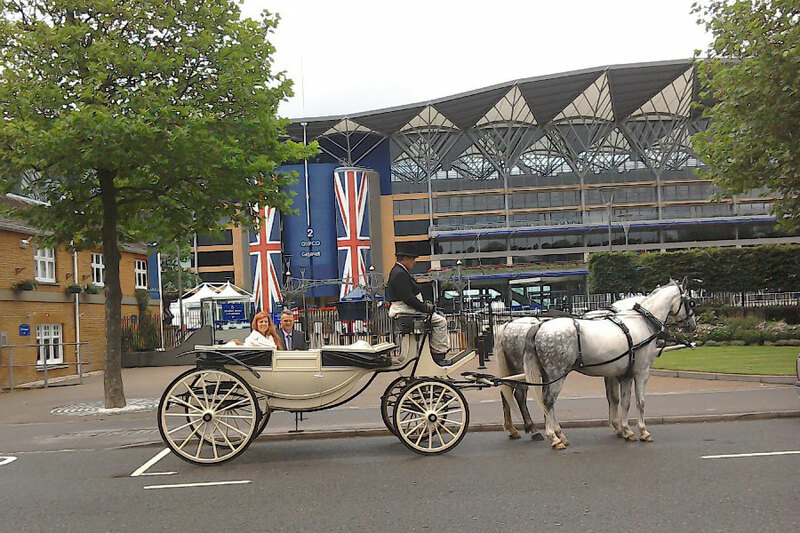 We can operate every day exclusive trips from one of the local Ascot hotels for 4, 6 or 8 people or meet your car/taxi at our special meeting place for you to change into the carriage and have a 30 min trip to the racecourse. The set down point is as close as we can get to the grandstand entrance on the High Road, but there will be plenty of time for photos at the starting point! Please email the day required, time you wish to arrive at the Racecourse and number of passengers, and we will check availability and provide a quotation. Please contact Joanna for details on 07811 543019 or via email at info@ascotcarriages.co.uk. Francesca Cumani presenter of CNN Winning Post horseracing magazine show enjoyed travelling with us to the racecourse on the first day of Royal Ascot 2013. You made what could have been a nightmare, trying to organise 8 girls is never easy, a real delight, you were so helpful thoughtful and kind, things you don’t come across very often these days! Thank you for making our first Ascot a special one.